Have you ever worried that you forgot to lock the doors at night? Have you ever wondered, “what if someone breaks in and takes my kids during the night?” What would you do if a water leakage occurred while on vacation? Have you ever just wanted to turn on your thermostat without getting out of bed? In 2006, the ability to do all of this and more came true for my family and I when I installed Control4. 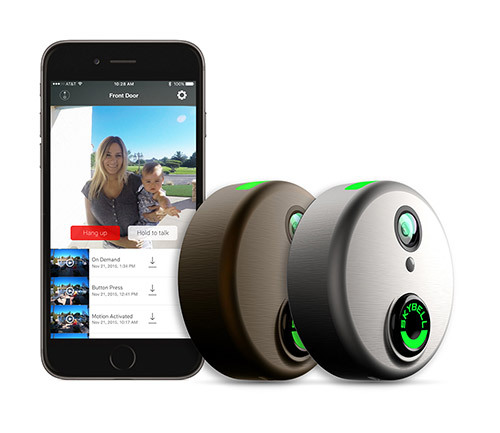 Control4 provides me the opportunity to have my family feel safe and secure. My entire Control4 project consists of 7 water sensors, 9 zigbee automatic door locks, 61 motion sensors, 15 contact sensors, 2 thermostats, and my house is all completed with wireless lighting. When you walk into my house and open the front door, you are presented with the tone from The Jetsons. This alerts us when the kids decide to go out or if someone is coming in. At 2:00 in the morning, my Control4 system is programmed to find out if my door is unlocked, and if so, the system automatically locks it. Every time my doors lock or unlock, my wife and I receive a text message letting us know that someone has either entered or has left the house. With the help of motion sensors, the lights in our home automatically turn on and off through motion detection. Who needs a light switch? If motion is not sensed for 20 minutes, the lights automatically turn off. This has saved my family and I a lot of money on my electric bill and has prevented wasted energy. Also with motion sensors and timers, if the house has reported no one at home, our thermostat will automatically turn to 75 degrees. My entire basement has water leakage sensors. When water is detected, my wife and I immediately receive a text message, the entire house is alerted with an announcement, and all the lights in the house start flashing for 10 minutes until the leak has stopped. If a fire were to occur in my house, all the lights in the house would turn on and an announcement would play, warning my family to leave the house immediately. When Elizabeth Smart was abducted right from her bedroom, the whole state (and country) was affected by the news. I immediately took precautions in my own home. All my windows, doors, and gates have been outfitted with contact sensors which will alert me when the gate, windows or doors are opened. I have also placed motion sensors in my backyard and during the hours of 2:00am – 5:00am, if motion is detected while my house is in the “off mode,” it will alert me – flashing my bedroom light and playing an announcement throughout the house. And on a lighter note, notifying the kids of dinner time has never been easier. With the intercom solution Control4 provides, I simply push a single button and broadcast the message throughout the home. These are some of the awesome things Control4 allows me to do. If you are looking to make your life safer, more secure, easier and catered to your preferences, Control4 is your answer.